Emtricitabine(FTC), with trade nameEmtriva(formerlyCoviracil), is a nucleoside reverse transcriptase inhibitor(NRTI) for the treatment ofHIVinfection in adults and children. 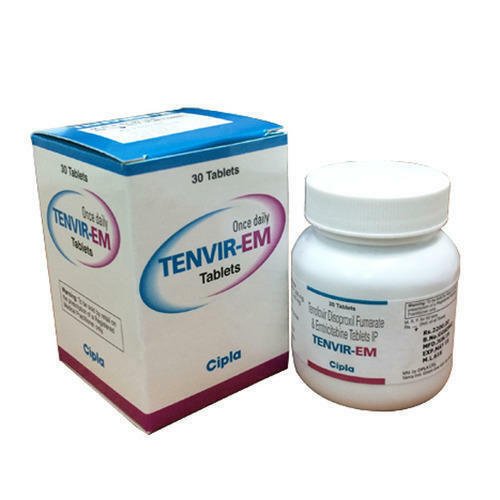 Emtricitabine is also marketed in a fixed-dose combination with tenofovir(Viread) under the brand nameTruvada. A fixed-dose triple combination of emtricitabine, tenofovir, and efavirenz(Sustiva, marketed byBristol-Myers Squibb) was approved by theU.S. Food and Drug Administration(FDA) on July 12, 2006, under the brand nameAtripla. Emtricitabine makes up one fourth of theQuad pill(brand name: basichealthStribild). It is on theWorld Health Organization's List of Essential Medicines, a list of the most important medication in a basic health system.